The St. Louis Cardinals system went 4-4 on Sunday, including a modified road doubleheader sweep by Memphis. In the opener, Player of the Day Luke Voit had a career game, going 5-for-6 with five RBI while hitting for the cycle. Recaps from games played on Sunday, July 1. The Redbirds’ bats rumbled to a 13-2 win in Sunday’s first game in Des Moines, a contest suspended from Saturday. 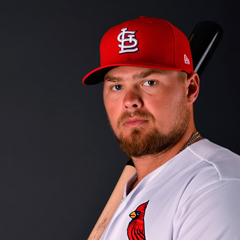 Our Player of the Day is first baseman Luke Voit, who was 5-for-6 with five RBI as he hit for the cycle. Right fielder Tyler O’Neill, catcher Carson Kelly, and center fielder Oscar Mercado also hit home runs. The team went 8-for-16 with runners in scoring position. 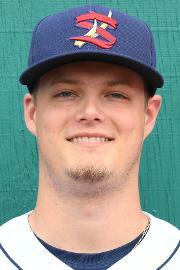 Redbirds starter Jake Woodford pitched four innings of one-run ball, with one walk and six strikeouts. Matt Bowman, continuing his rehab, allowed a run in the fifth inning, and the also-rehabbing Luke Gregerson earned the win with a scoreless sixth. Hector Mendoza and Conner Greene held the Cubs hitless across the game’s final three innings. In the game regularly scheduled for Sunday, Memphis earned a sweep of the day with a 6-1 victory over the Cubs. The game was shortened to seven innings. 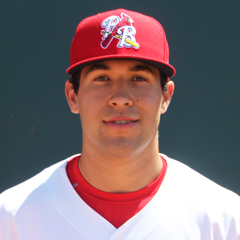 Redbirds starter Daniel Poncedeleon allowed one unearned run across five innings, during which he fanned eight batters. In the process, the right-hander lowered his season ERA to 2.57. Andrew Morales struck out the side in the sixth, and Edward Mujica sealed a win with a scoreless seventh inning. Memphis left fielder Randy Arozarena hit a two-run home run, and third baseman Alex Mejia was 3-for-4 with two runs scored. Second baseman Max Schrock also had three hits in four at-bats, with a run scored and a run batted in. Monday’s game: Chris Ellis (0-0, 3.98) at Iowa Cubs, 7:08 PM Central time. The RockHounds made the most of Springfield’s shaky pitching and cruised to a 4-1 win over the visiting Cardinals. Cardinals starter Austin Warner walked six batters and allowed a two-run home run across his two innings of three-run ball. Warner took the loss, his second in as many Double-A decisions. Reliever Austin Sexton recorded six punchouts in three perfect innings. Ramon Santos pitched a scoreless seventh, and Jacob Evans allowed one run in the eighth. Springfield turned a triple play to end the sixth inning, with third baseman Evan Mendoza, second baseman Ramon Urias, and first baseman Chris Chinea involved. Chinea hit his 11th home run of the year, accounting for Springfield’s lone run. 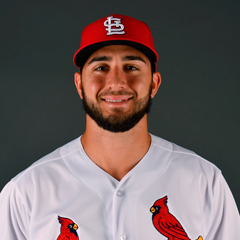 The Cardinals matched the RockHounds in the hit column with six apiece, as catcher Jeremy Martinez was 2-for-3, and shortstop Tommy Edman, left fielder Victor Roache, and Urias each doubled. 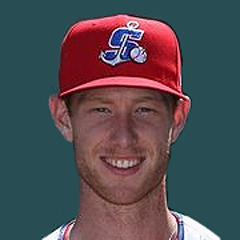 Monday’s game: Sam Tewes (0-2, 8.10) at Midland RockHounds, 6:30 PM Central time. A run-scoring wild pitch in the game’s final frame led the Hammerheads to a 1-0 win in the first game of Sunday’s doubleheader with Palm Beach. After starter Casey Meisner logged six scoreless innings, Jacob Patterson was called in to pitch the seventh. A leadoff walk proved costly. The Hammerheads bunted the runner to second, and he took third base on a wild pitch. After a strikeout, Patterson threw his second wild pitch, allowing the game-winning run. It was Patterson’s his second loss of the season. The Cardinals were shut out on just four hits. Left fielder Shane Billings doubled, accounting for the only extra-base hit for either side. Center fielder Chase Pinder, third baseman Danny Hudzina, and first baseman Juan Yepez each had a base hit. The Cardinals stranded seven runners. The Hammerheads jumped on the Cardinals early to take the second game of Sunday’s doubleheader by a 4-1 score. John Kilichowski was tagged for four runs, all earned, in the bottom of the first inning. Kilichowski went on to pitch the second and third, though he took the loss to even his record at 1-1. Thomas St. Clair pitched a scoreless fourth, and Eric Carter logged zeroes across the fifth and sixth frames. First baseman Juan Yepez scored the Cardinals’ only run. Left fielder Dylan Carlson had two base hits, but the Cardinals combined to go for 0-for-9 with runners in scoring position to strand 10 runners on base. Monday’s game: TBA at Bradenton Marauders, 5:30 PM Central time. The game between the Chiefs and Snappers in Beloit was suspended due to rain. At the time of suspension, the Chiefs were leading 5-0 in the middle of the second inning behind long home runs by Nick Plummer and Yariel Gonzalez. Update: This contest will resume in Peoria on Friday, August 24 at 5pm. Beloit will be the home team for the conclusion of this game, which will go the full nine innings. Game 2 will be seven innings with the Chiefs as the home team. Monday’s game: Johan Oviedo (3-6, 5.22) at Burlington Bees, 6:30 PM Central time. With timely hitting and contributions throughout the batting order, the Spikes enjoyed a 5-2 home win over the Scrappers on Sunday. Spikes second baseman Nick Dunn went 3-for-4 with a double, two runs scored, and one run batted in. 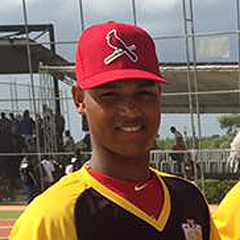 Center fielder Wadye Ynfante had two hits, scored a run, and drove in a run, left fielder Lars Nootbaar knocked in a pair, and right fielder Andres Luna doubled and scored twice. Starter Eli Kraus went 3 2/3 innings with two runs allowed. Will Changarotty pitched through the fifth inning, recording four outs with no runs allowed. Chris Holba followed with 3 1/3 scoreless frames to earn his first win of the season. Jacob Schlesener recorded the second out of the ninth to earn his first hold, and Cory Malcom sealed the win as he struck out the final batter for his second save. Monday’s game: Winston Nicacio (0-2, 3.71) vs. Mahoning Valley Scrappers, 6:05 PM Central time. The Reds got to Cardinals pitching early and often throughout, leading to Greeneville’s 9-5 win. Starter Oneiver Diaz allowed five runs in six innings, with a four-run first inning putting a sour mood on his outing. Diaz fanned seven batters and walked zero, one that resulted in his first loss of the season. 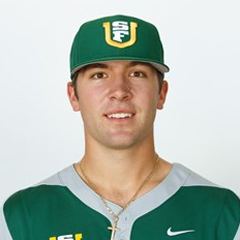 In his professional debut, Mike Brettell yielded three runs in seventh, including two on a home run, before Junior Gonzalez gave up another run in the eighth. Johnson City first baseman Dariel Gomez and left fielder Luis Flores each hit a solo home run, their third and first of the season, respectively. Third baseman Michael Perri was 2-for-4 with a run scored, and center fielder Brandon Riley walked three times and drove in a run. The Cardinals had their chances, but went just 1-for-15 with runners in scoring position. Monday’s game: Noel De Jesus (2-0, 1.50) at Greeneville Reds, 6:00 PM Central time. Fueled by stellar pitching, the Gulf Cardinals enjoyed a 2-0 win over the Nationals on Sunday. Cardinals starter Brian Pirela was fantastic. In his seven-inning outing, Pirela held the Nationals to just two base hits with four strikeouts. Francisco Justo followed with a scoreless eighth and ninth. 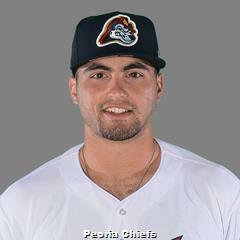 Pirela earned his first win, and Justo recorded his first professional save. First baseman Andrew Warner and right fielder Victor Garcia drove in a run apiece, while second baseman Josh Shaw and left fielder Liam Sabino each scored. Monday’s game: TBA at GCL Mets, 11:00 AM Central time. The DSL takes Sundays off, but the Cardinals’ two squads resume play at 10:30 a.m. Monday. Cardinals Blue entertains the Yankees at Baseball Oasis while Cardinals Red play at the Rangers2. Unfortunately, the starting pitchers in the complex leagues are not announced in advance.